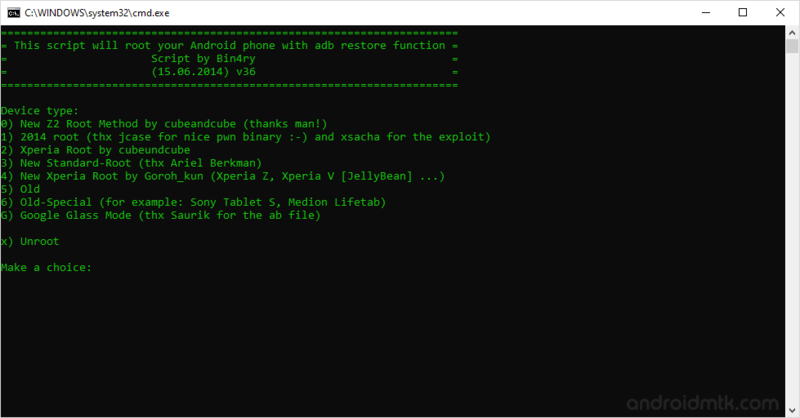 These are the instructions to root BSNL Penta T-Pad WS802C Tab using Binary Toolkit on Windows Computer. Requirements: Your BSNL Penta T-Pad WS802C Tab should have at least 30-40 percent of battery to perform the rooting process. Step 1: Download and install BSNL Penta T-Pad WS802C USB Driver on your Windows Computer. Step 3: Enable USB Debugging mode on your BSNL Penta T-Pad WS802C Tablet. To Enable USB Debugging: Settings > Developer Options > USB Debugging (Tick to enable it). Step 4: Connect your Tablet to the computer. Step 7: Now, your Tablet will ask to perform Full Restore. To perform full restore, Tap on the Restore my Data to continue. Step 8: That’s it. Now your BSNL Penta T-Pad WS802C is successfully Rooted. To check whether your tab is rooted correctly, open Applications Menu, there you will be able to see a new app installed, called SuperSU. If this app exist then it means you have successfully rooted your BSNL Penta T-Pad WS802C. [*] BSNL Stock Firmware: If you are looking for the original firmware for your device then head over to Download BSNL Stock Firmware for all devices page. [*] BSNL USB Driver: If you are looking for the original USB Driver for your device then head over to Download BSNL USB Driver for all devices page.